I completed my first fiber project of the year, Sun Splash, in the wee hours of the morning. 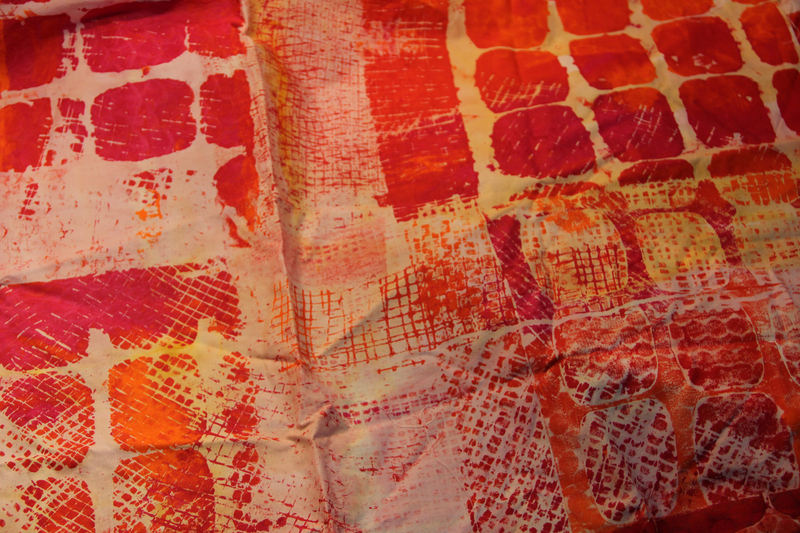 Several years ago I had taken a class and printed on fabric with paint. I took digital photos of the fabric. Then I took a few photos of sun flowers on a trip to New Jersey. 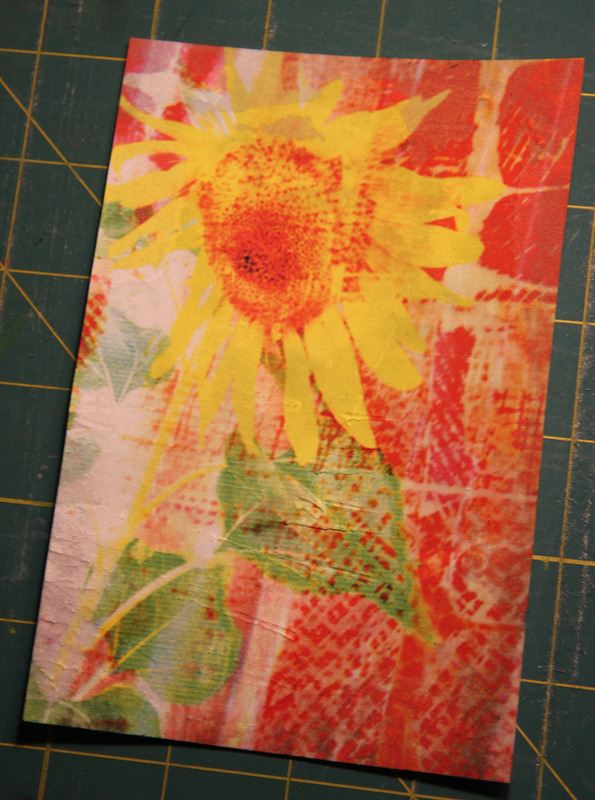 One of the sunflower photos I layered with the photo of the fabric in Photoshop, blending the two images together. I also printed these photos on fabric. 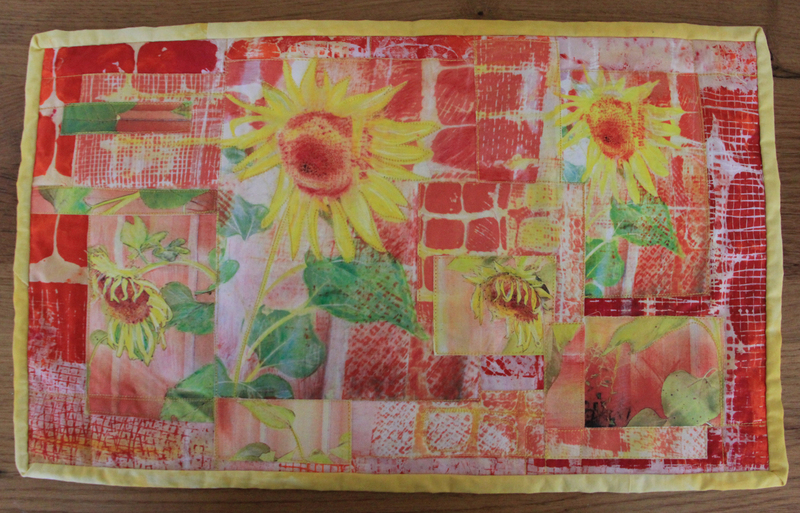 Then in the last few days I took the image (the one that blended the fabric with sunflowers) and printed it on textured stabilizer. 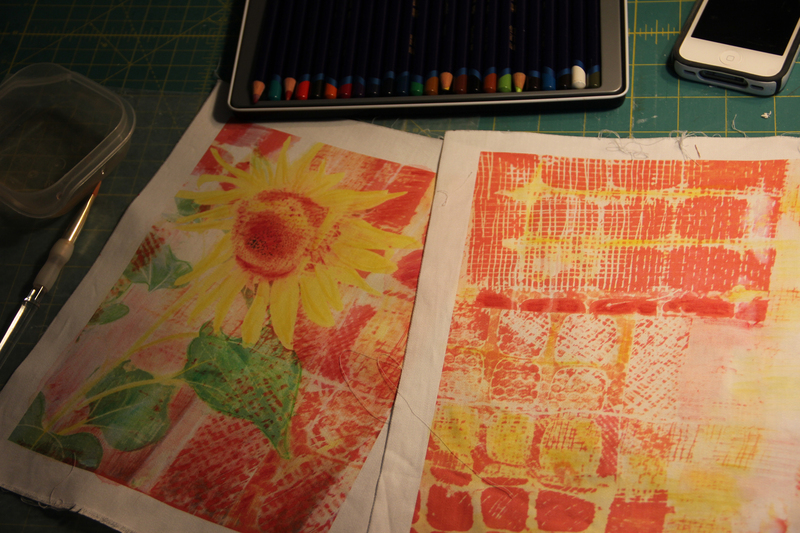 Because the color was more vivid on the texturized stablizer (with Ink Aid also used) than the original prints on cotton fabric, I took Derwent Inktense pencils, water and a brush and made those images more vivid. This is the resulting collage.